Big Bell Temple is also known as the Da Zhong Templeand is a stunning Buddhist shrine in the city. The temple is located on Beisanhuan Road and is known for its rich architectural value. Built in 1733 the temple has gained a lot of popularity along the way due to its ambience and whole setting. 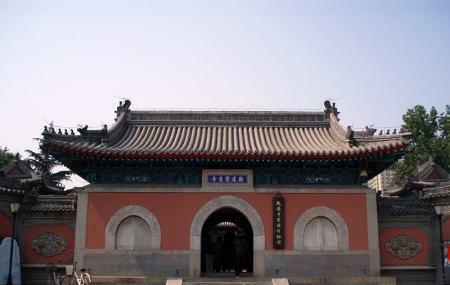 It was built in the reign of Yongzheng Emperor of the Qing dynasty. Tickets are issued before 4:00pm. Take a bus from Dazhongsi East or Dazhongsi East. Take the subway from Dazhongsi East. How popular is Big Bell Temple? People normally club together National Aquatics Center and Altar Of The Sun while planning their visit to Big Bell Temple. People also prefer to start their day with Big Bell Temple.